Grand Duke of Yashima wrote: How's a little Mari for your morning. If I was Asuka, I think that would penetrate right to my dere-dere core. driftking18594 wrote: If I was Asuka, I think that would penetrate right to my dere-dere core. Oh, please. Yandere's where it's at. 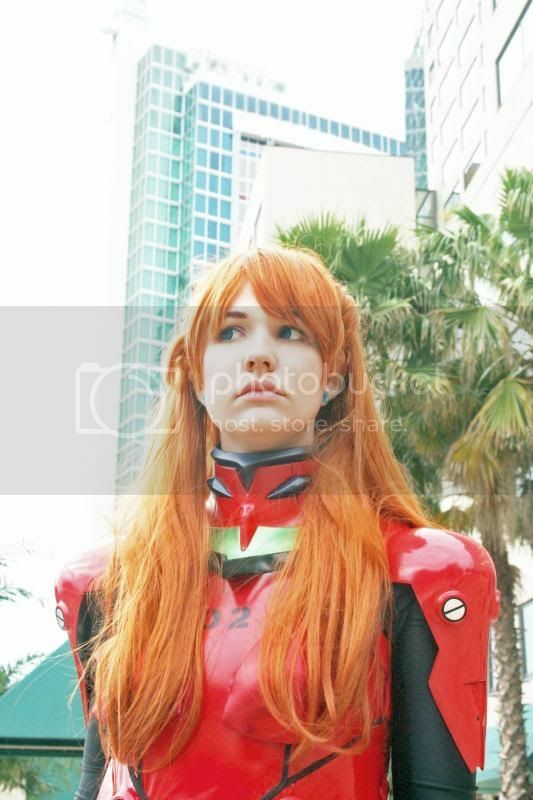 I'm new on this forum and thought it might be nice to show the Asuka plugsuit I recently completed. It was made from wire, wood (the...button-screw...things), fiberglass and bondo, reflective tape, elastic, vinyl and lyrca (though I didn't make the shoes). I'm really proud of it but there's lots more to be done! I hope you guys like it; any feedback is welcome. 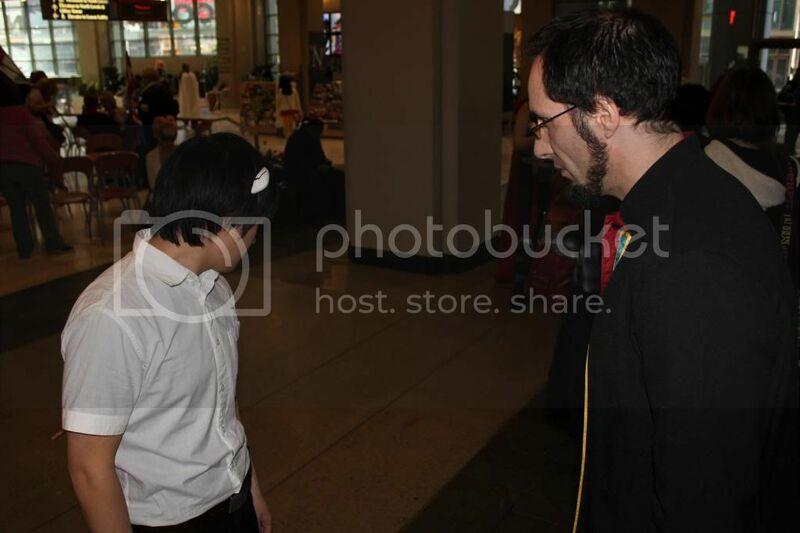 There's also a shot with my roommate as Misato. Dance like you want to win! 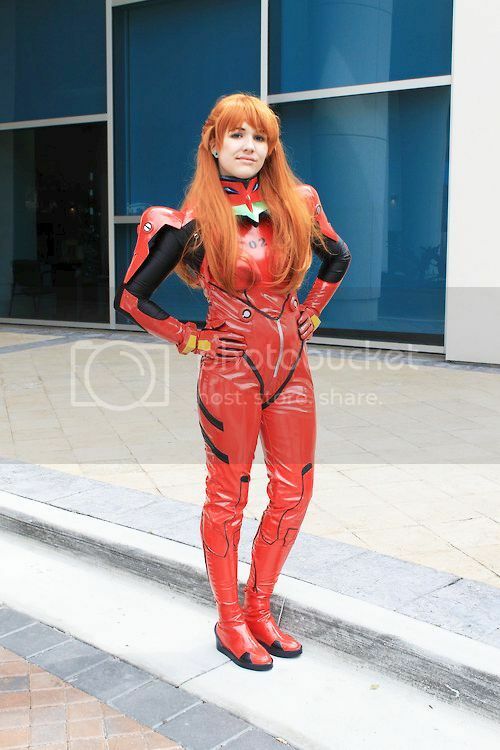 [quote="Ninkie#609645"]I'm new on this forum and thought it might be nice to show the Asuka plugsuit I recently completed. It was made from wire, wood (the...button-screw...things), fiberglass and bondo, reflective tape, elastic, vinyl and lyrca (though I didn't make the shoes). I'm really proud of it but there's lots more to be done! I like it, but the first pic clearly shows that some work needs to be done on the shoulder pads. They look like they're resting on top of the costume instead of being completely attached to it. It's the only real stand out issue I could find. I really appreciate the comments guys, especially the critique from you, ssguy. You are entirely right; that's my first area of adjustment to come. 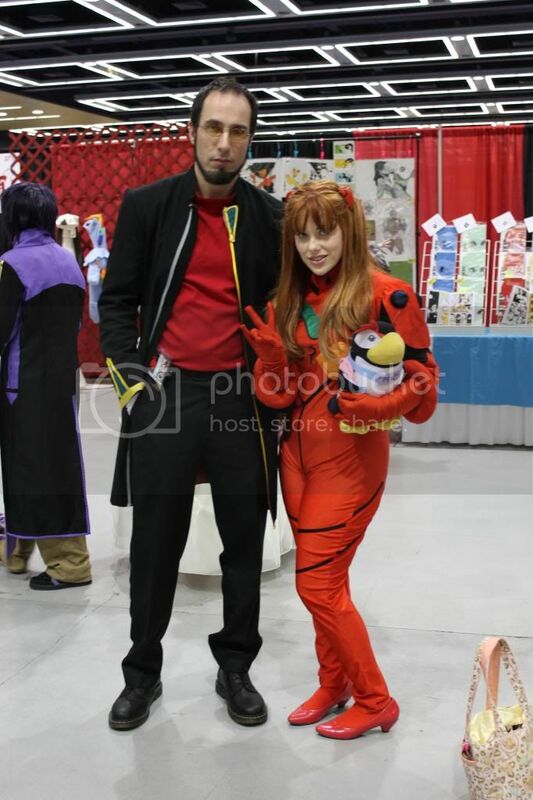 I might not have NERV's budget, I'll make up for it however I can . 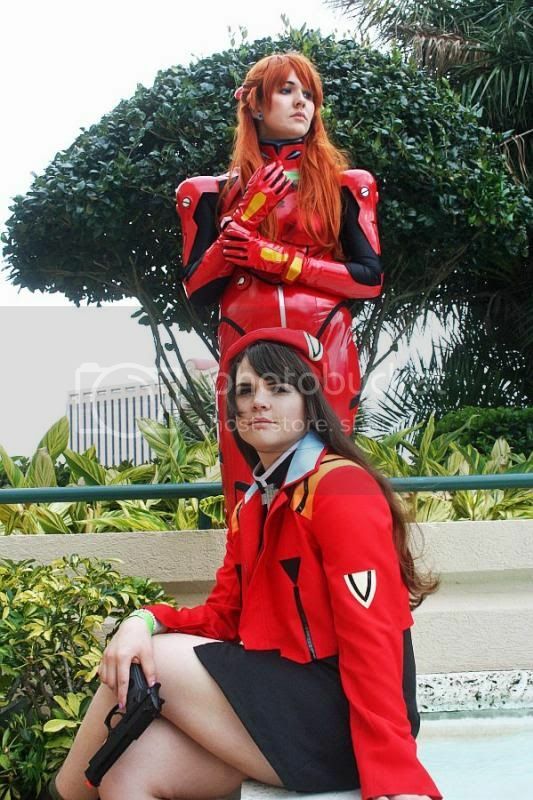 I agree with the initial posts on this thread that Eva cosplay is always a little...clownish. 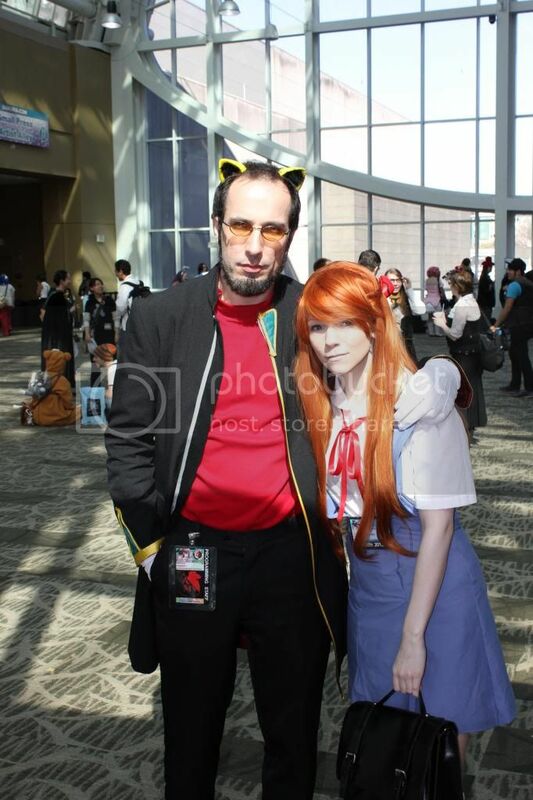 I'm hoping to mesh real human proportion with the fantasy Sadamoto has created. 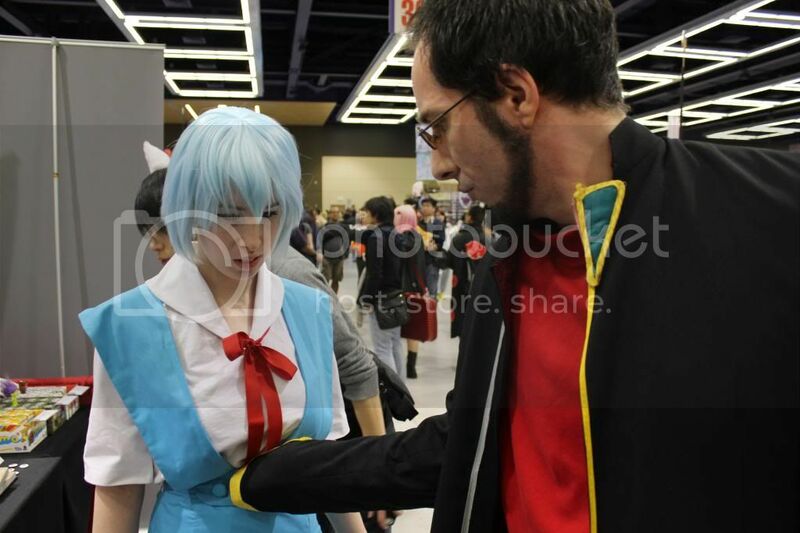 That, after all, is the beauty of cosplay. 3D meeting 2D...it's really quite beautiful, if you think about it. 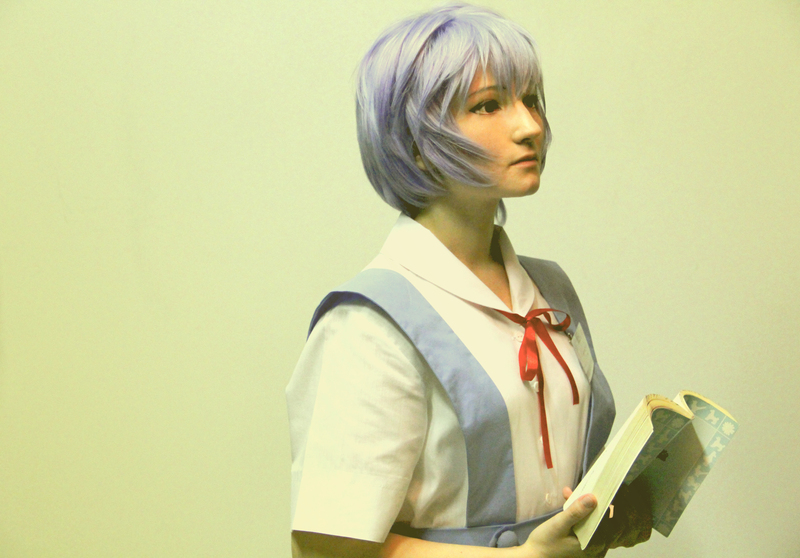 Curiously, although the frame/structure of the face is different from (what i think is) Kaworu's in the anime, it does feel like it fits the character perfectly, along with the eye contacts and haircut. 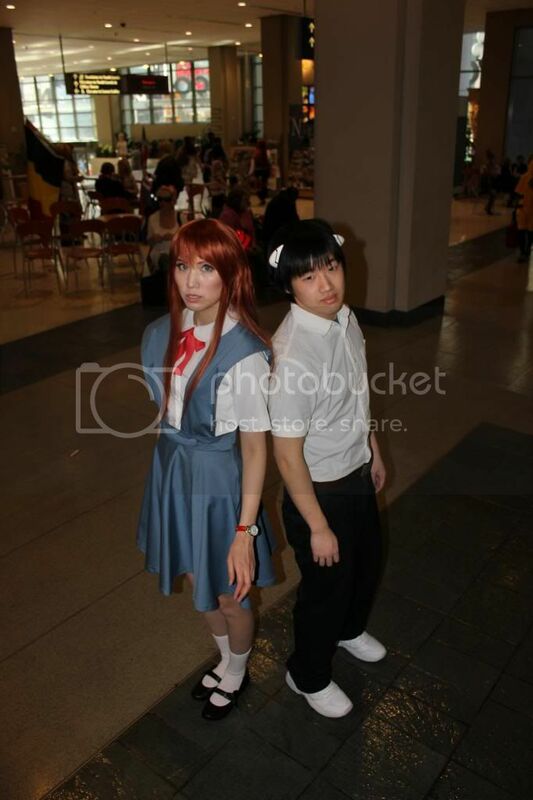 Nice cosplay. 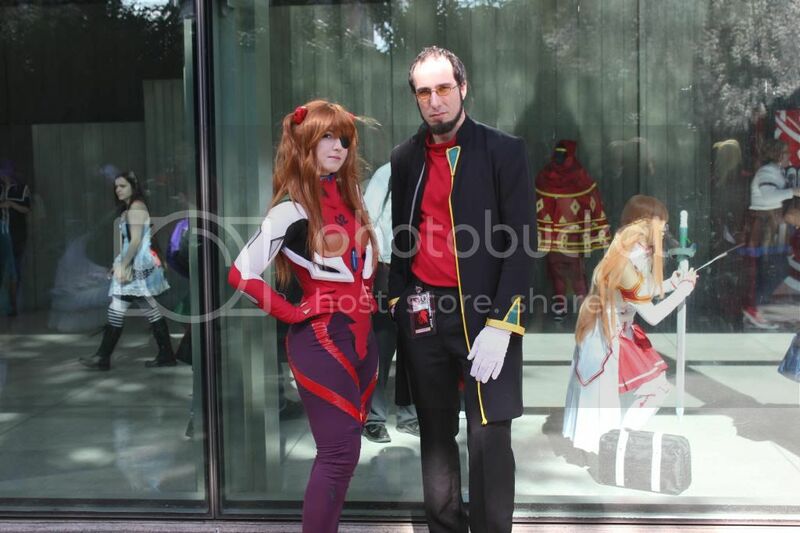 Me as Gendo at SakuraCon 2013, with various other Eva cosplayers. 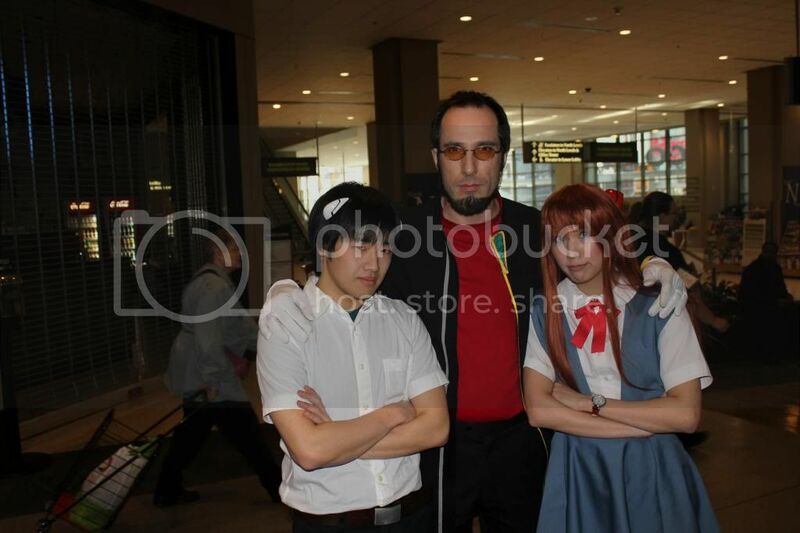 purplepolecat wrote: Me as Gendo at SakuraCon 2013, with various other Eva cosplayers. Haha, oh my purplepolecat* you make a great Gendo, excellent pictures; especially the one in which your hand fuses with fabric. Holy god, this thread is from 2004! Has EGF even been around that long? Elect G-Max wrote: Holy god, this thread is from 2004! Has EGF even been around that long? The oldest threads in here tend to be dated 2004-something. It seems that EGF was founded in that year. 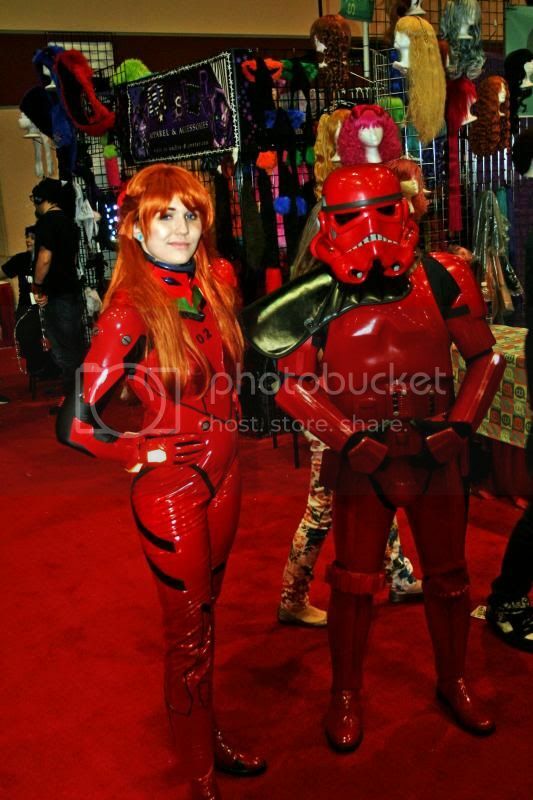 Although the quality of the uniform wasn't so great, I found myself attracted to this cosplay. 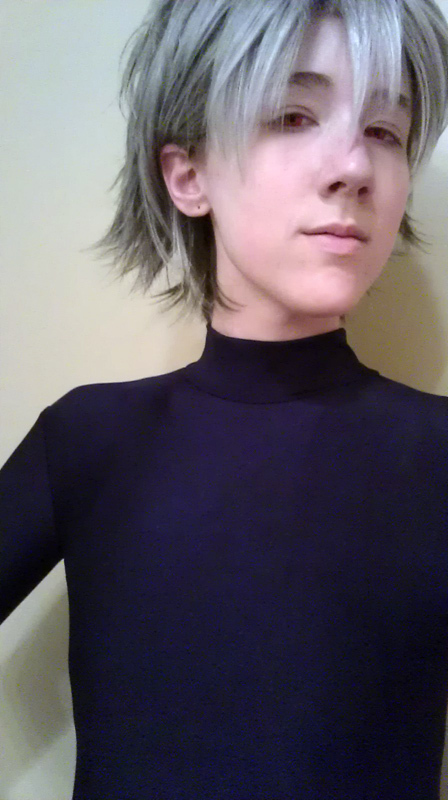 I cut the sleeves later that night but I had to take this shoot at AMA while the Kaworu cosplayer was still there. ... I'm so fucked up. Oh, hand lotion. Preparation for the wanking, is that it? 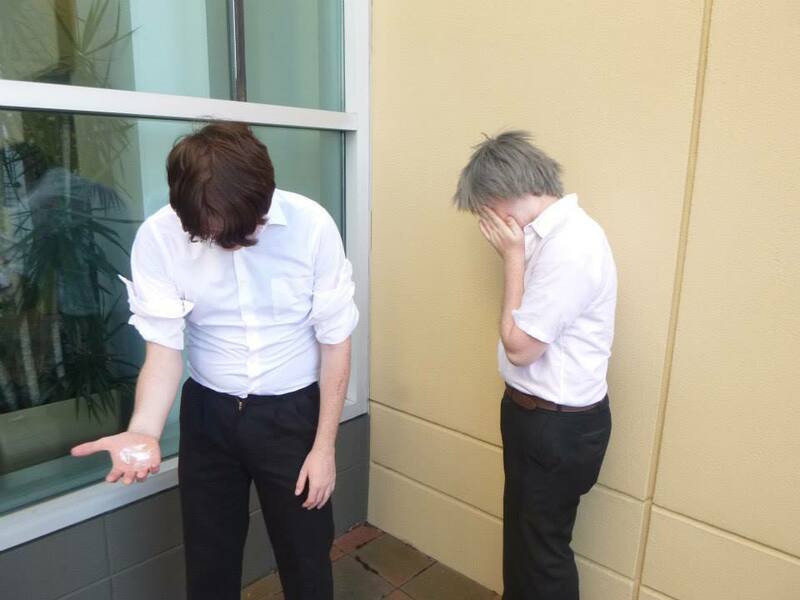 Nyanlathotep wrote: I cut the sleeves later that night but I had to take this shoot at AMA while the Kaworu cosplayer was still there. Kaworu is clearly distressed at the thought of having to kill yet another innocent kitten to satisfy the powers that be.